Tristen Parr is a classically trained acoustic and electric cellist specialising in new music performance and performer integrated sound design for theatre, dance and installation. This focus has seen Tristen expand his musical language by integrating computer based manipulation of the acoustic and electric cello both live and in the studio creating sound worlds that cross sonic landscapes seamlessly. He has toured extensively throughout Australia, USA, Canada, Asia and Europe, and has recorded for Germany’s SWR & ABC. Tristen is a founding member of the multi award winning Decibel new music ensemble, Praxis collective, silent film band Viola Dana and Soundstorm to name but a few. He has been commissioned by the likes of Yirra Yaakin Theatre, AIVDT, Buzz Dance Theatre, Louisville Ballet, LINK Dance Company, Geelong Regional Galleries, Queensland Ballet, Barking Gecko and Australian National Museum (CANWA) and Tristen collaborates regularly, including performing, composing, designing sound & arranging for the award-winning productions City of Shadows & Life in Miniature. 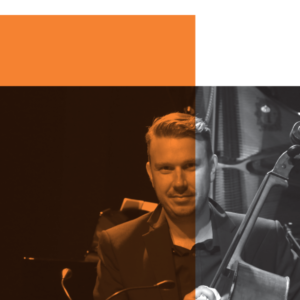 He has won numerous WA Music Industry awards & is a Helpmann Award nominee for Best Music Direction and Australian Dance Awards recipient and current nominee.